Home News ‘Marquee Man’ Emile Heskey SCORES. ‘Marquee Man’ Emile Heskey SCORES. 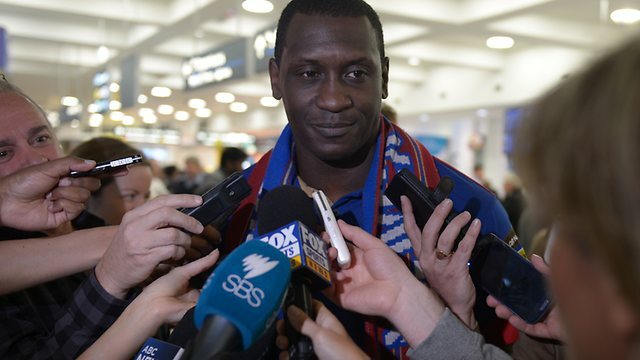 In the name of fairness, since we have poked fun at Mr Heskey for his impersonation of a striker over the years at Aston Villa, it’s only fair we celebrate and bring attention to his predator-like volleyed debut goal in Australia’s A-League, as his team Newcastle Jets downed Sydney FC (despite Del Piero scoring a free-kick) in a 3-2 away win. Roy Hodgson take note…Heskey’s strike rate has already improved from his 1-in-10 at Villa to 1-in-2 at the Jets. Maybe the secret to Heskey scoring was that he requires a hot climate? Once Australia’s summer kicks in, who knows, the big man might even hit double figures for the season! Good luck to Jet’s ‘Marquee Man’ for the rest of the season.